After several years of work dedicated to proudly recover the rhythms that belong to the oral tradition of Colombian culture, Kuisitambó arrives with his first album: Desde el fondo. 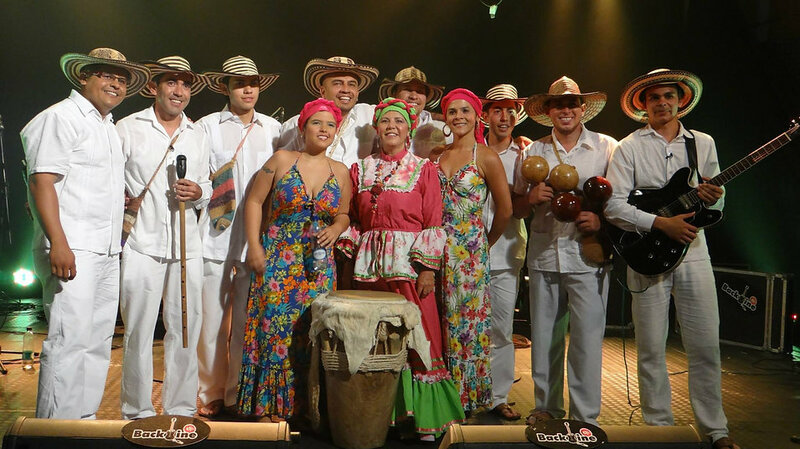 Cumbia, Chalupa, Porro, Tambora are some of the rhythms that this band from Bucaramanga, Colombia are promoting and bringing up to date since 2004 by Gustavo Mejia Rojas. Desde el fondo is an album that has an interesting musical proposal with 9 songs: 6 compositions by Fabio Mejia (Kuisitambó director), They bring an special tribute with a compilation of José Barros songs where he paying tribute to this legend and amongst different independent arrangements and original songs combining the traditional rhythms with the modern sound reaching interest in the roots of colombian music for old and new generations. An album that is worth taking the time to listen from start to finish and now receiving a nomination for latin grammys 2016 as best cumbia/vallenato album. We hope to have the album soon available in the UK. Download for free the popurri tribute to Jose barros by Kuisitambo on the link below.